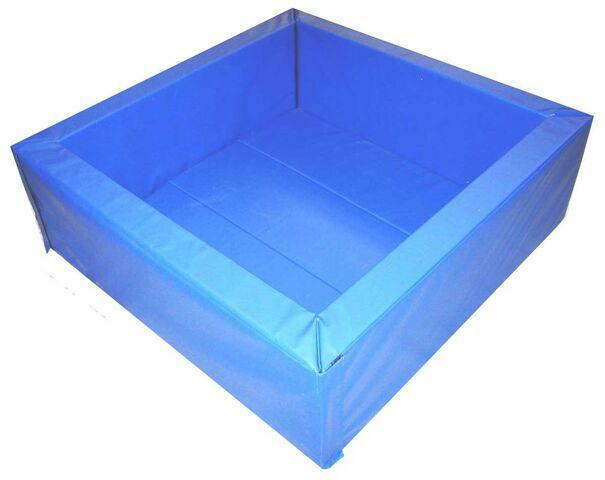 Sturdy ball pool with 6" thick walls and plenty of room to play. Includes a 60”x 60” velcro-attached floor mat made from 1-3/8” thick cross-linked polyethylene foam. Vinyl is fire rated, mildew resistant, UV resistant and rot resistant. 3000 Balls recommended, but not included. Made in the USA. This is a Truck Shipment. Loading dock or Liftgate/Inside Delivery necessary to receive shipment. Please contact customer service at 800-467-6222 for a quote. Dimensions: Outside Dimensions: 72" x 72" x 30", Inside Dimensions: 60" x 60" x 24"